Unfortunately I cannot keep 6 dogs ???????????? 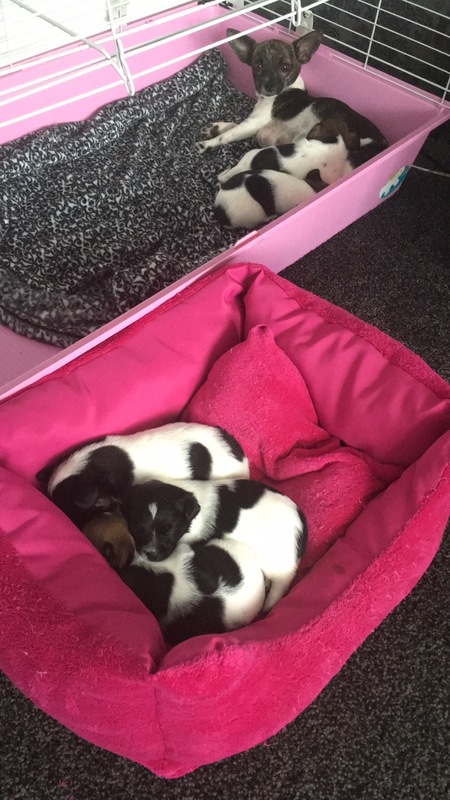 so I have four beautiful babies for sale, I have 2 girls and 2 boys, they will be ready in 4 weeks time, I would prefer them to go to people I know but I know this probably won't be the case, home checks will be done, they are looking for forever homes so please don't show interest if you are no 100% committed, they will be £400 each with a £50 NON refundable deposit, if you are interested in buying one of my gorgeous babies please pm me ????? ?